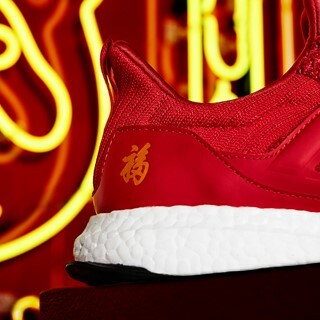 Tomorrow, adidas and Eddie Huang will officially reveal a special edition Ultraboost model in celebration of the Chinese New Year. 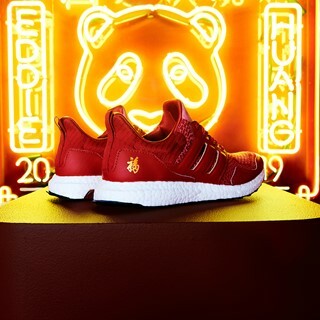 Inspired by traditional New Year elements, the re-imagined Ultraboost incorporates authentic elements and design cues to pay homage to the Year of the Pig. 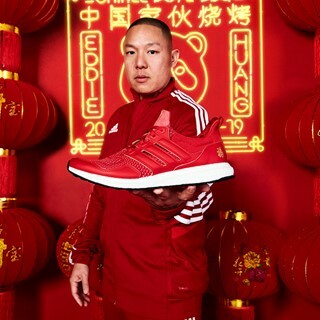 The three stripes brand enlisted the help of Eddie Huang to memorialize the significant calendar moment, allowing the food connoisseur and streetwear figure to redesign one of adidas’ most recognizable silhouettes. 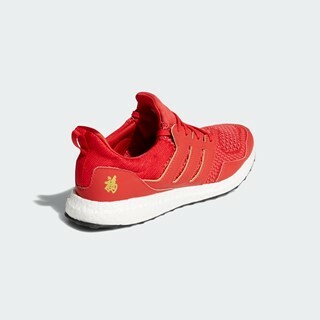 To honor the Year of the Pig the remixed Ultraboost features a bold red knit upper, peppered with pink accents. A Chinee Boyz BBQ sockliner meets a pig suede tongue emblazoned with a panda—referencing Huang’s self-proclaimed “Human Panda” nickname. Citing Eddie’s certified chef status, the Ultraboost also incorporates a kitchen ready non-slip, water-resistant heel finished with gold metal lace tips and a gold hanger plated outsole. Each pair has been stamped with a Chinese character that reads “Good Fortune”. 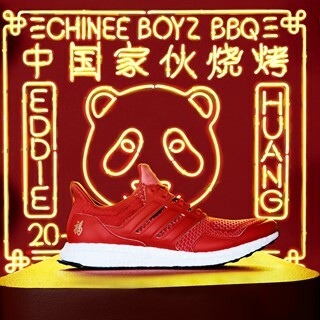 The limited edition kit which will only be available in the US and Canada is complete with a custom dust bag that features Chinee Boyz BBQ branding. 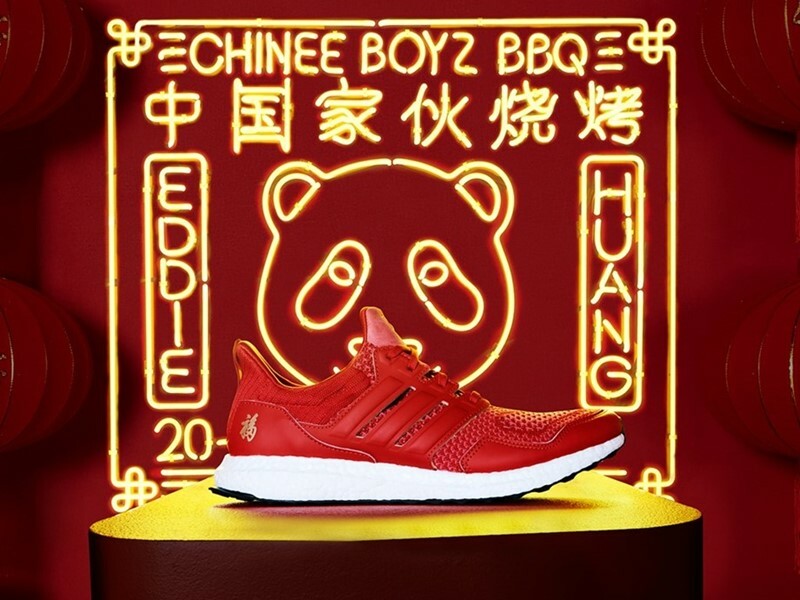 The Ultraboost Eddie Huang CNY will be available beginning on February 7th and will retail for $200 USD. CTA/Links: Directs the reader to the product and provides valuable relevancy metrics for search engines.